The hardened and ground rollers are housed inside heavy MS Plate fabricated body with rollers running inside precision roller bearings. The machine is having three gear type roll lifting arrangement with fine battler thread screw for very fine roll height adjustment. 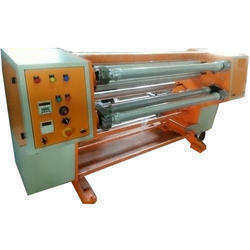 With our rich industrial experience, we hold expertise in offering Slitting Machine. Additionally, we offer these products at affordable rates. Floor Space 30" (760 mm): 8 ft. x 8 ft.
We bring forth to our customers a wide range of high quality Core Slitting Machines, which are technologically advanced and computerized machine. Slitting Machines are manufactured keeping in mind the latest industry requirements as well as customer's requirements. 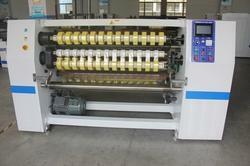 We are pleased to introduce that, we are one of the leading manufacturers of Paper Slitting Machines.